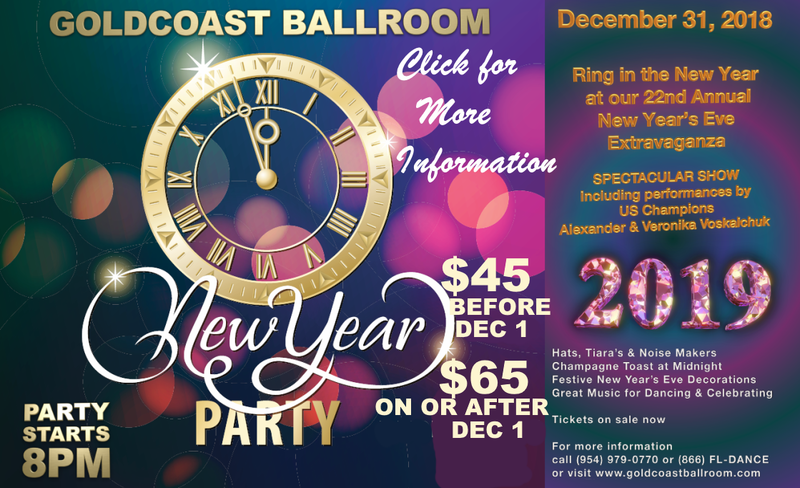 Goldcoast Ballroom & Event Center | Reserve Now for Goldcoast Ballroom's Dazzling 22nd Annual NEW YEAR'S EVE GALA!! - With Spectacular Show by U.S. Open Professional Ballroom Champions ALEXANDER & VERONIKA VOSKALCHUK!! - December 31, 2018 - $45. 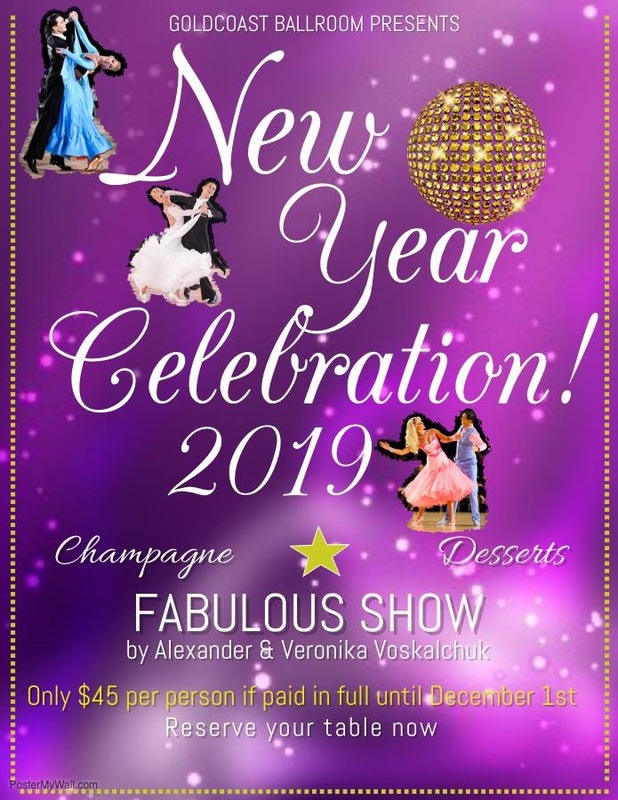 Reserve Now for our 22nd Annual Dazzling New Year’s Eve Gala!! The Place to Be on New Year’s Eve!! Reserve Now, While Tables Last! are among the Best and Most Highly Ranked Dancers in the World! This will be A New Year’s Gala You Don’t Want to Miss!! « SPECIAL WORKSHOP – ‘WHICH DANCE ARE YOU?’ – Wednesday, November 21 – 7:30 PM – with U.S. Pro Champions ALEXANDER & VERONIKA VOSKALCHUK! !